To support workers worldwide with tough, performance apparel, footwear and accessories for all of their needs because work is not just what you do - it's who you are. DO THE RIGHT THING AND HAVE NO REGRETS. 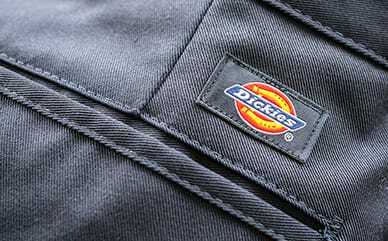 Dickies is trusted and long established because we are built on a legacy of integrity. We take pride in personal ownership, acting ethically and fairly, and respecting the dignity of every person. Dickies has nearly a century of staying power because we are steadfast in our promises. If we say we’ll do something, we do it – no compromises, no exceptions. Our products prove themselves time and time again – every one is backed by our satisfaction guarantee. We strive to exceed our customers’ expectations. We continuously pursue innovation by encouraging the creative ideas of our associates, broadening and improving our product lines, leveraging the latest technology and increasing efficiency so our products remain competitive. As a global company, Dickies believes diversity strengthens us. We maintain an attitude of partnership, emphasizing personal respect, offering equal opportunities for all, listening to every associate and partner, and connecting through a mutual commitment to succeed. Established in 1922 in Fort Worth, Texas, a city and state known for its grit, Dickies has always been known for its no-nonsense approach to functional workwear. The story of the legendary brand begins in 1918, when founding business partners C.N. Williamson and E.E. “Colonel” Dickie began a vehicle and harness business, creating rough and tumble equipment for horses. By 1922, the two shifted from outfitting workhorses to outfitting workers. They began making tough denim bib overalls for ranchers, farmhands and other workers around the Southwest. 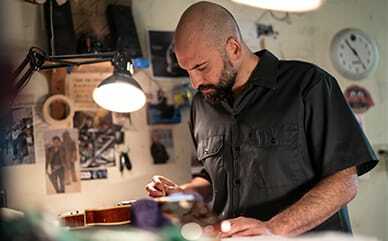 Since then, Dickies has spent nearly a century crafting innovative workwear known for its performance, durability and comfort. To this day, Dickies continues its long legacy of designing quality workwear at a price anyone can afford. What began as a humble denim bib overall company has grown into a worldwide force, weaving together cultural movements with a rigorous commitment to straightforward style and long lasting ingenuity. In 2017, Dickies was acquired by VF Corp, the parent company of global powerhouse brands such as Vans®, The North Face®, Timberland®, Wrangler® and Lee®. VF is the ideal steward to honor the Dickies heritage while providing a platform for growth that ensures continued success for another century. Dickies upholds the highest standards for ethical, responsible corporate practices. We are committed to supporting the communities in which our associates and customers live and work, as well as the international communities in which we produce and sell our products. We maintain a code of Corporate Environmental Guidelines. These guidelines provide direction and accountability for optimizing environmental sustainability, employment practices and product safety.